The Liam lambswool jumper is a sartorial must-have for every wardrobe. 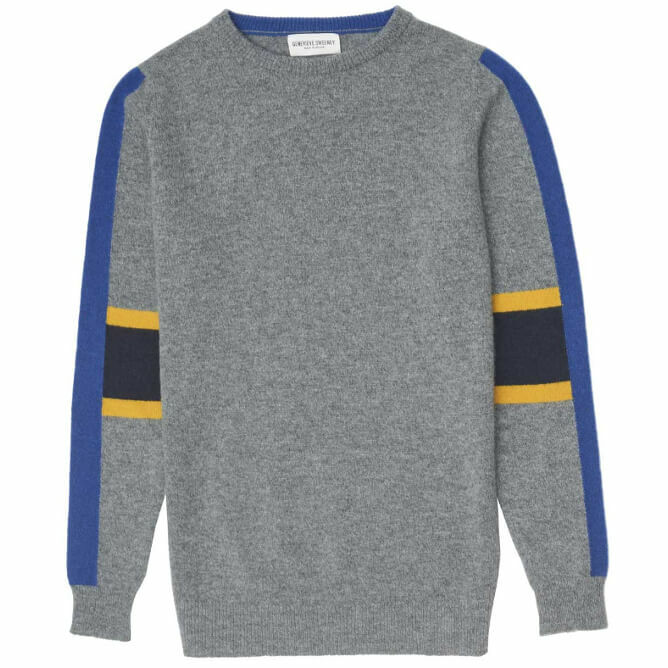 A contrasting vertical colour block creates an unexpected modern statement to the soft lambswool blue jumper. Crafted in a traditional hand intarsia technique by a skilled knitter in the Scottish Borders. The Liam jumper is spun from 100% lambswool in one of the UK’s oldest mills.